The UN's Intergovernmental Panel on Climate Change has issued a practical guide for what the world can do to reduce the impacts of climate change. Among the densely scientific recommendations are calls for Governments to reduce reliance on individualised motor transport and, instead, prioritise walking, cycling and public transport. As part of the solution the Panel discussed e-bike usage in highly populated cities around the world Including Europe, and the USA. 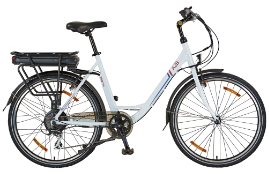 In the recently updated ‘Electric Bike Report Worldwide 2014’. 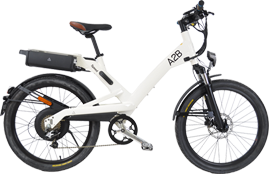 It stated that the USA e-bike market is accelerating while Europe continues to grow. As A2B continues to consolidate in these markets, it is good news that these recent reports highlight the importance of finding transport solutions for alternative journey’s. “Prioritizing infrastructure for pedestrians and integrating non-motorized and transit services can create economic and social co‐benefits in all regions,” says the panel report. Not only would such measures be good for the planet they would also make sound economic sense, said the panel of the world’s leading environmental scientists. The Intergovernmental Panel on Climate Change IPCC’s Fifth Assessment Report assesses data on the scientific, technological, environmental, economic and social aspects of mitigation of climate change. The Special Report on Renewable Energy Sources and Climate Change Mitigation (SRREN) issues a wake-up call to the world: reduce energy use, walk and cycle more. Criticising roads built for motor transport the panel’s report said: “Established infrastructure may limit the options for modal shift and lead to a greater reliance on advanced vehicle technologies. The report doesn’t feel electric cars are a significant part of the answer to reducing transport’s emissions because the emissions are merely displaced, not reduced, however that e-bikes and the new longer ranges possible on A2B’S e-bike journeys could offer a major solution to the majority of shorter range commuting journeys currently undertaken by car.